Looking to incorporate? We offer both free software and an online service to provide your business with forms for your incorporation. With our software, you can process your incorporation forms easily, and on your own. Or, if you don't want to download anything, you can use our free incorporation service. So no matter how you'd like help with your incorporation forms – we have free solutions for you right here on our website. One of the easiest and least expensive ways to protect your personal assets when starting a business is to incorporate. When it comes to incorporating, there are several options, like a C Corp, an S Corp, or an LLC. The best way to determine which type of corporation best fits your business is to consult with a business attorney familiar with your business and industry who you trust. However, you do not need a lawyer to file your incorporation for you. Avoid their pricey fees with our free incorporation software which will make filling out forms a breeze. Each type of corporation provides liability protection, but they are structured differently and require different things to maintain compliance. However, all provide far superior protection than a sole-proprietorship. Today, having protection from a law suit is more important than ever as nearly 300,000 litigation cases are filed each year against US businesses. This means that the second you open shop, you’ve become a potential target for a lawsuit. 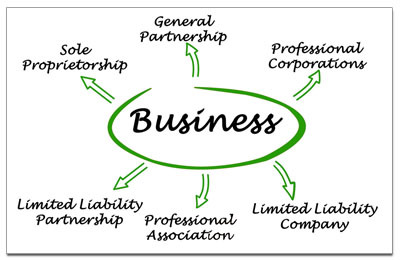 Download and use one of our Free LLC Forms if you want to create a limited liability company (LLC). Download your free articles of incorporation by clicking here. You can form a corporation without the assistance of a lawyer in most states for between $20 and $100. We provided you well-made generic paperwork for free to help make your incorporation process easier. The free incorporation software designed by John H. and Erika E Keyes provided here is not warranted in any way. Looking for help on the type of language you need to use? The IRS has sample language at their website that you can view, click here visit their website. You can form a corporation without the assistance of a lawyer in most states for between $20 and $100. However, the generic paperwork presented in this free incorporation software by John H. and Erika E Keyes is not warranted in any way.